The Force is strong with lots of Star Wars buzz flying throughout the galaxy. The cast of Episode VII (hitting theaters in December 2015) was announced this week – super exciting!!! And, May the 4th (Star Wars Day) is almost upon us! So, it’s the perfect time to share some fun Star Wars Disney Store news with you! First up, did you know that since early this year, Star Wars merchandise has been available at the Disney Store (and, even better…more exclusive merchandise will be released on May 4th)? With a house full of Star Wars-loving boys, this is very exciting news! 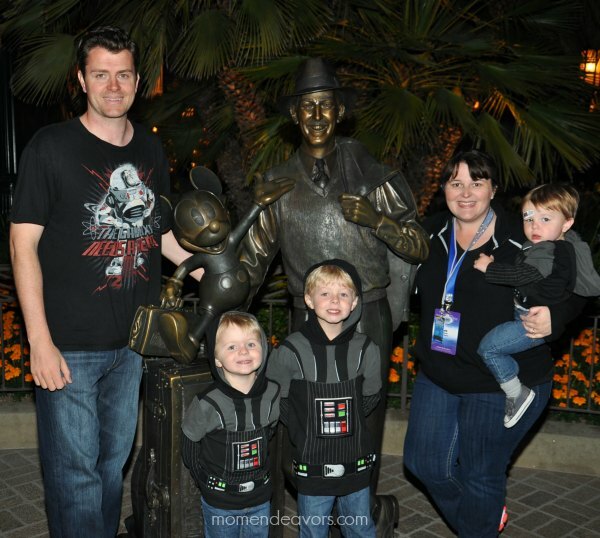 In fact, just in time for our recent trip to Disneyland for Disney Social Media Moms, the Disney Store sent some Darth Vader hooded tees for the boys to try out! We surprised them with the shirts our first night there! Super fun, right?! The boys wants to wear these the WHOLE rest of our trip! 😉 They are pretty cool shirts! 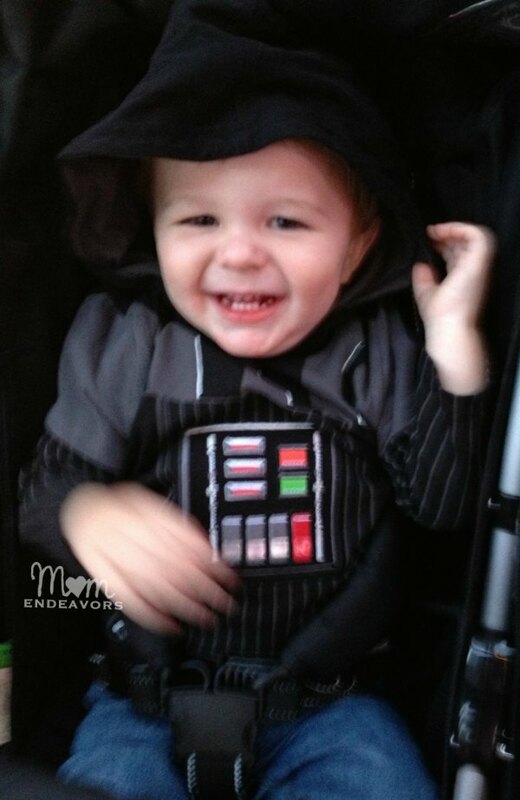 And, who knew that Darth Vader could be so cute?! These hooded tees were perfect for cool Southern California nights at Disneyland! The boys even did some sleeping in them! 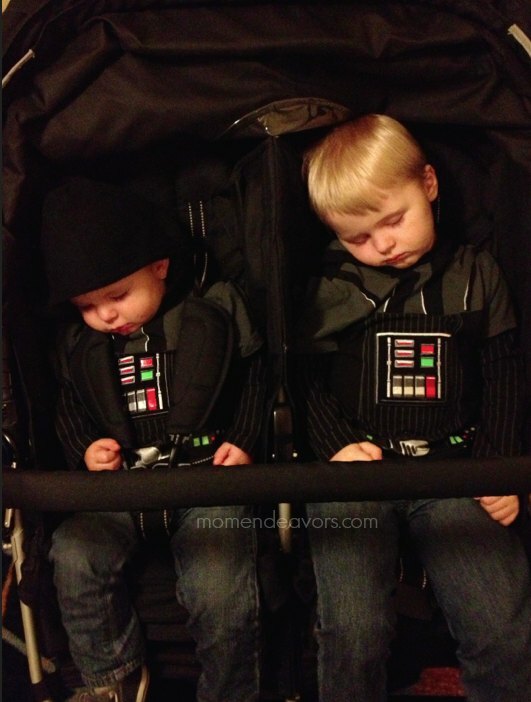 Did you know that Darth Vader does actually get sleepy? 😉 Suffice it to say, that these Darth Vader hooded tees would be a popular gift for your little Star Wars fans. 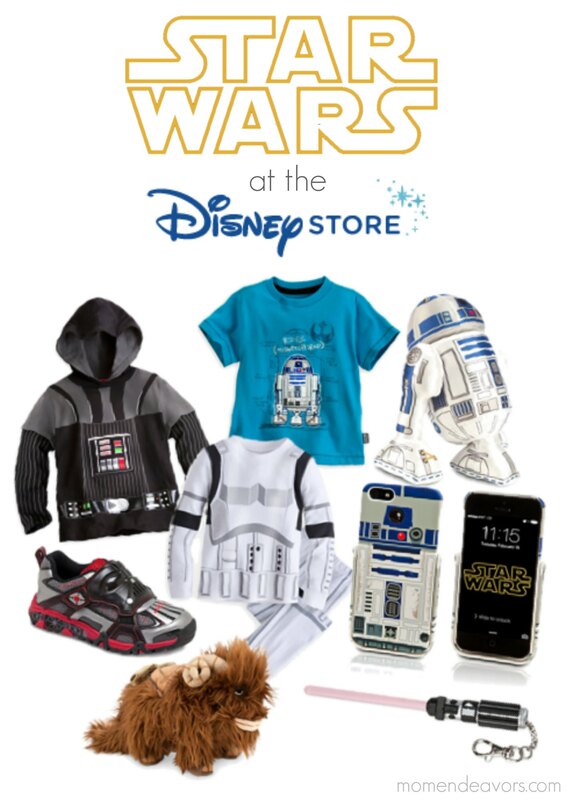 And, speaking of little Star Wars fans…If you live near a Disney Store, plan to celebrate Star Wars Day there! On May 4th, the first 100 Guests who visit the Disney Store will receive a limited edition Star Wars pin. My boys would LOVE to add a Star Wars pin to their little Disney pin collection we’ve started for them! 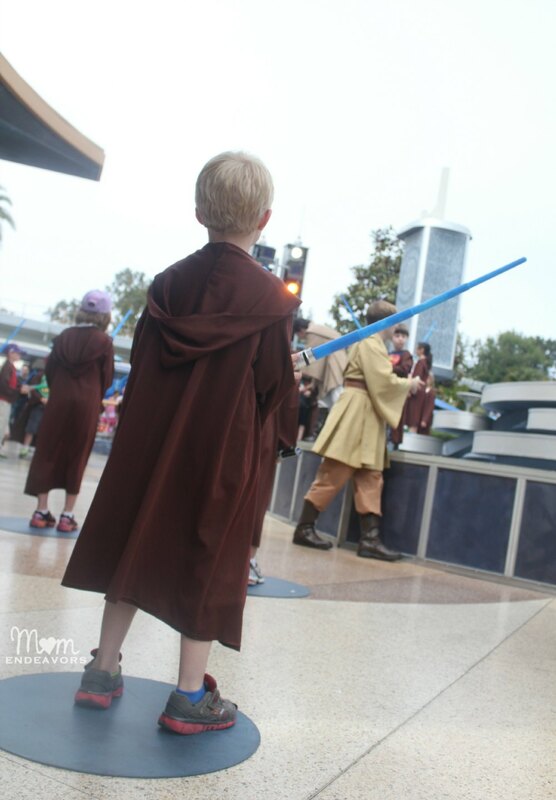 My little Padawan had SO much fun during Jedi Training at Disneyland, that I know the boys would LOVE all this fun at the Disney Store! So, we’re hoping to get there on Sunday! On that day, the store will also be celebrating the launch of Disney Store-exclusive Star Wars merchandise, like talking action figures! Oh my!! So, happy Star Wars shopping…and…May the 4th be with you! Disclosure: We were sent the Darth Vader shirts shown in the photos above. No other compensation was received. Our opinions & love of Disney/Star Wars is entirely our own! Those were super cute hoodies! !